Marlene Dietrich and her beautiful, golden hair. This is the nineteenth installment of the monthly classic actress beauty tips that I have read about and tested. During the holiday season, glitter and sparkle seems to be all the rage. Garland, holiday dresses, sequined shoes. Well why not add some shine to your hair? 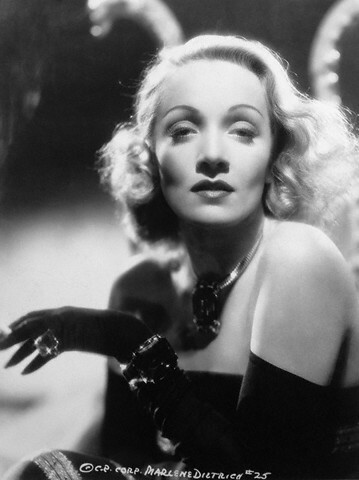 As I’ve highlighted in a prior tip, Marlene Dietrich is well known for her eyes. Another noteable feature is her shining, golden hair. I read that Max Factor would sprinkle real gold dust over Marlene’s golden locks and wigs to add extra shine and sparkle. Since I don’t see myself stumbling over gold dust, I decided to buy the next best thing- lose gold powder. I know it exists, but I was about to give up hope at Wal-Mart when I came across some. It’s made by Hard Candy and is called “Show Girl loose glitter” with the name of “Vegas Baby.” It was a very funny name, but it served it’s purpose. My hair with a hint of sparkle. “Vegas Baby” had a tiny little brush that you use to apply, but that took too long on my hair. I ended up turning it over and sprinkling it like a salt shaker. 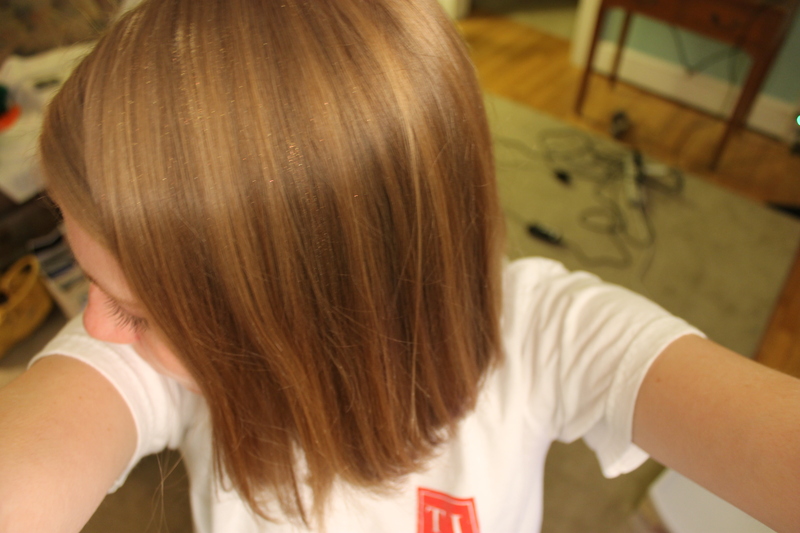 I’m not sure what real gold dust looks like in hair, but the loose glitter showed up just fine. To review: The glitter showed up and added some extra shine to my hair, but I’m not sure if I would wear it to the grocery store or to work. It might be something to add to an evening look or for a holiday party. Stay tuned for January’s beauty tip! Check out the Comet Over Hollywood Facebook page or follow on Twitter at @jnpickens. This entry was posted in Beauty Tips and tagged classic actress beauty tips, gold dust in hair, Marlene Dietrich, Marlene Dietrich hair by Jnpickens. Bookmark the permalink. Thanks 🙂 I’m glad you enjoy them. I sure wish I had a Josef Von Sternberg following me around as well! I was looking for photos to go along with this post and also just recently watched her in Shanghai Express. Marlene looked so stunning!